The all-new Hyundai Santro hatchback is slated to make its debut in India during this year’s festive season. The all-new hatchback – codenamed the AH2 – is expected to get a tall-boy stance, just like the original model. Hyundai will reveal the exact name – highly likely to be the Santro with a suffix – on the 4th of October, 2018. It will be sold with a petrol engine, the capacity of which could be between 800 cc to 1.1 litres. The new Santro will get both 5-speed manual and AMT options, making it the first Hyundai car in India to feature an automated manual transmission. Here is a brand new render that shows what the all-new Santro could look like. As the render indicates, the 2018 Santro is expected to feature the waterfall/cascading grille that are now constants on all new Hyundai cars. Sharply raked front headlamps and a tall-boy stance are two other key design highlights indicated by the render. 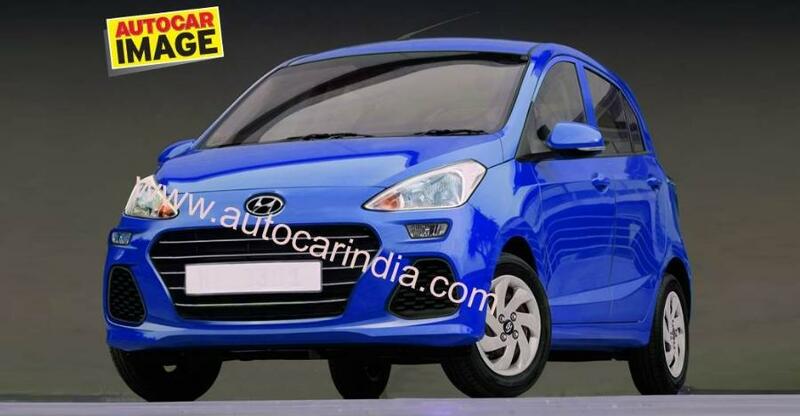 The car is expected to sit in between the Eon and the Grand i10 in terms of price and positioning. A starting price of under Rs. 3 lakh is what’s expected and the new Hyundai Santro could eventually replace the Eon in the Indian market. For now though, both the Eon and Santro will be offered to entry-level car buyers walking into Hyundai showrooms across India. Like almost every new Hyundai car, the new Santro is expected to have good looking interiors, perhaps with the best quality levels in the segment. An airy feel is likely for the passenger cabin thanks to the car’s tall-boy stance. The new car will meet the upcoming Bharat New Vehicle Safety Assessment Program (BNVSAP) and is expected to get twin airbags and ABS on the top-end trims. Even lower variants are likely to get a driver airbag, reverse parking sensors, and a seatbelt warning light as standard across variants. The car will take on the Maruti Alto, the Renault Kwid, the Datsun RediGO and even perhaps some variants of the extremely well priced Tata Tiago.